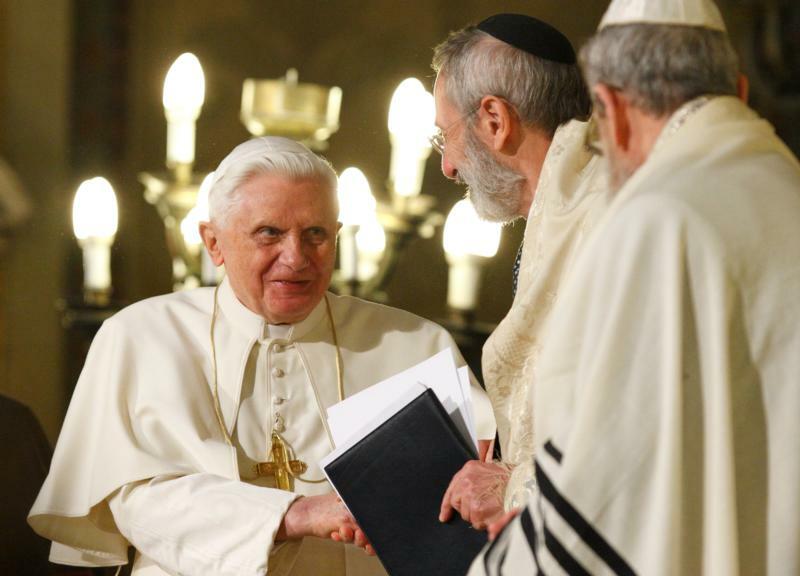 VATICAN CITY (CNS) — Retired Pope Benedict XVI sent a letter correcting a German theologian who implied that the former pontiff encouraged the evangelization of the Jewish people as a mission. In a message sent to the German monthly, “Herder Korrespondenz,” Pope Benedict responded to an article in which Michael Bohnke, the theologian, criticized the pope and accused him of advocating proselytism. According to Vatican News, Bohnke panned a document published in 2015 by the Commission for Religious Relations With the Jews. The document, which reflected on Catholic-Jewish relations on the 50th anniversary of Vatican II document, ‘Nostra Aetate,’ was later published in the German theological journal “Communio” in 2017. Bohnke said the former pope lacked understanding with regard to Judaism while ignoring the suffering inflicted upon Jews by Christians. However, the pope addressed Bohnke’s criticism, saying that his words did not emphasize a “mission” to convert Jews, but rather dialogue. Christians, he added, are called to dialogue with Jews about Jesus and whether he is the Messiah promised to the people of Israel.